The Alliance is a membership organisation and professional body. The Alliance supports private sector practitioners who regularly provide care directly to members of the public, sometimes in their clients’ own homes, residential homes, nursing homes, industrial and commercial settings, or in clinics dedicated to the purpose. Private practitioners possess skills that can improve the quality of life and extend the mobility of their clients. By promoting and providing practitioner development opportunities, the Alliance supports safe delivery of those skills. Private sector practitioners have always delivered the skills and understanding that individual people need, and the Alliance intends that these services will always be available to people, and safely delivered. The Alliance strives to ensure that practitioners engaged in this work are fully represented, protected and gain benefit from their legitimate endeavour. Podiatrists and Foot Health Practitioners make up the Alliance membership. The Alliance maintains the Accredited Register of Foot Health Practitioners. 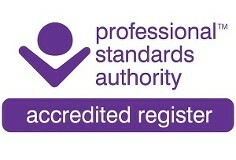 This register is the only register for Foot Health Practitioners that is accredited, or assured by the Professional Standards Authority for Health & Social Care. The Authority is appointed by Parliament to oversee the work of the Statutory Regulators and accredit health occupation registers that meet its standards.